MCS Construction is a full-service Home Improvement Contractor. We are fully licensed and insured in Maryland. We offer a wide range of Home Improvement Services including: Kitchen Remodeling, Bathroom Remodeling & Additions, Decks, Drywall Repair & Installation, Flooring, Tile Work, Carpentry, Electrical Services, Painting Services, Plumbing Services. Whether you’re planning to remodel your kitchen or add a few necessary upgrades to modernize it, we provide the full range of kitchen remodeling services to complete your project from start to finish. Our kitchen remodeling services include: kitchen flooring, tile work and backsplashes, carpentry and cabinetry, granite and other counter-top installations, lighting, faucets and finishes. Need help designing your kitchen? We can help you achieve a beautiful design that reflects your style and keeps you on budget. Bathroom Remodeling and Bathroom Additions: We specialize in bathroom remodeling, handling every detail from planning and design to renovation and clean-up. Best of all, our bathroom remodeling projects are undertaken with as little disruption to homeowners as possible because we understand the inconveniences involved and the need to complete such a project on time. Our Bathroom Remodeling services include: countertop and cabinet installations, shower, bathtub and jacuzzi installations, bathroom tiling and flooring. Need an additional bathroom in your home? 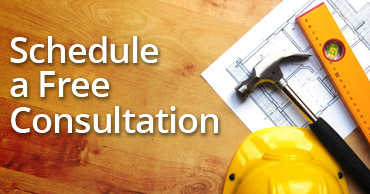 Start with a free consultation<link> and let us help you plan your next bathroom remodeling or bathroom addition. Enter the outdoors and expand your living and entertaining space with a new deck. We specialize in deck additions from simple wood decks and full-screened decks to multi-season decks and gazebos. Which ever style you desire, we are here to help you plan and budget your deck addition. Deck construction is considered an addition to your home and will require permits and inspections to ensure safety, we can help. We are fully licensed and insured in Maryland, Virginia and Washington DC and we’re here to assist you with your deck design, construction and permit applications. Do you need to partition a room in your home with drywall or build a wall with a door? Or are you dealing with the unfortunate experience of drywall water damage?Our Drywall repair and installation services range from replacing discolored or damaged areas to framing and installing new drywall. Choosing a drywall contractor is an important decision. After all, drywall is only noticeable when it is done poorly! We specialize in quality drywall installation and repair, including plastering and painting. We are a full-service flooring contractor offering a variety of flooring options including new hardwood installation, hardwood refinishing, laminate, linoleum, vinyl and tile work<link>. Whether you are updating your home’s hardwood flooring, carpeting your bedrooms or tiling your bathroom floors, we have the knowledge and expertise of working with various surface and flooring products to make your home flooring beautiful again. Customize the look of your home with tile design in your kitchen, bathroom, or any other room where you want to add a wow factor! We specialize in tile flooring, backsplashes, tile walls, tile countertops and bathroom and kitchen tile work. We also provide outdoor tiling for patios and driveways. We’re here to help you install the perfect tile (ceramic, porcelain, stone, mosaic, glass, marble and more) for any room in your home. We’re passionate about tiling and that’s the reason we’ve earned a reputation for quality craftsmanship. Our tile experts lay each tile with an eye for detail and quality while completing your project on-time and on-budget. Major electrical work can be complicated and dangerous if not done correctly and to the present code. At MCS Construction, our Licensed and Insured Electricians handle all your electrical needs including: installing and repairing electrical outlets and switches, installing ceiling fans and chandeliers, upgrading electrical panels and sub-panels, installing GFCIs (Ground Fault Circuit Interrupters), installing electrical surge protectors and more. Our highly skilled electricians take every step to ensure that your electrical work is performed to present standards, while keeping your home and family’s safety in mind at all times. Our plumbing and draining services extend from kitchens and bathrooms to laundry-rooms and utility rooms. Whether you’re adding a tub, jacuzzi or vanity as part of your bathroom remodeling<link> project or upgrading your kitchen faucets and sink as part of your kitchen remodeling project<link>, we provide professional and affordable plumbing services throughout your home. Is it time for a new paint job around the house? Need to freshen up your current paint color or need a change? MCS Construction has you covered from wall to wall! 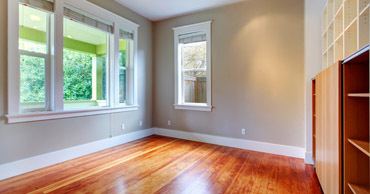 We specialize in prime and paint from the insides of your home, to garages and exteriors. Our painting services go hand-in-hand with our drywall repair and installation services <link> to give you smooth and fresh end results. Paint colors have a huge impact on any part of the home, inside or out, but choosing the right color is as important as choosing the right type of paint for the job. We’ll help you identify the right finish and type of paint or primer to get the job done the way you imagine. Then, we’ll bring in the rollers and brushes, and bring your imagination to life. Our carpentry services range from rough carpentry such as framing, floor construction, roof trusses and pre-construction work to finish carpentry such as interior trim repair and installation, molding repair and installation, wood stairs repair and installation, railing repair and installation, exterior shutters and siding repair and installation, decking and siding and more.